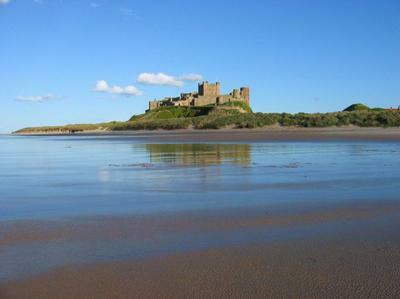 Bamburgh Castle dominates the Northumberland coastline and is one of the finest castles in England. Bamburgh Castle dominates the Northumberland coastline and is one of the finest castles in England. It overlooks miles of sandy beaches with views of the Farne Islands, Holy Island and landward to the Cheviot Hills. As well as the Castle itself, there is also the Armstrong museum, which details the life of the first Baron Armstrong, an engineer and inventor. There is also an exhibition of flying from its early days to today.